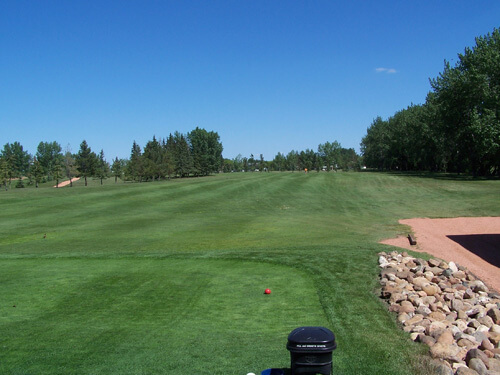 The Golf Club is a nine-hole course located on Highway 13 on the north side of the Town of Sedgewick. We boast a newly renovated, licensed clubhouse with weekday lunch specials during the season and a fully stocked Pro Shop. In additional to a complete Clubhouse renovation that took place in 2010, Sedgewick golf course also underwent major golf course reconstruction in 2012. We proudly invite you to come spend some time with us and enjoy a round of golf on our brand new greens. New grass, layout and designs will ensure a legacy of fun and enjoyment for years to come. Golfers of all levels will enjoy playing this 3163 yard par 36 layout. The course consists of mature trees, that line the meticulous, manicured fairways and new bent grass greens. Accurate iron play is a must, as the greens are guarded by bunkers, and water strategically placed throughout the golf course. Once you are putting, you’ll enjoy the slight undulated greens, masterfully infused with many subtle breaks. The greens are known for their quickness and smooth of roll. If perfecting your golf skills or learning the game is your objective, take advantage of our great practice facility. Hit balls on our re-opened driving range or work on your putting or short game on one of two putting greens. The course is a pleasure to walk and the clubhouse is a great place to relax after your game. 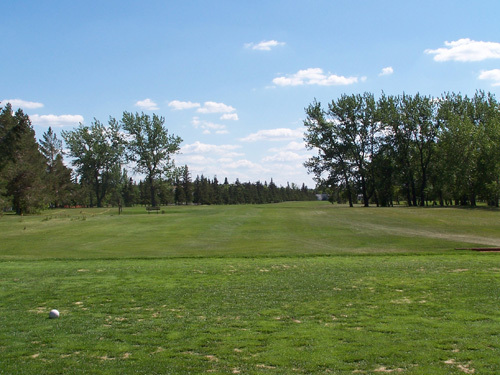 We invite you to come and join us for a round at this Central Alberta secret.